The Department of Modern Languages notes with sadness the passing of Loren Alexander, Associate Professor Emeritus of German and Foreign Language Education. Dr. Alexander passed away on January 7, 2017 at the age of 86. He was born on August 9, 1930 near Nashville, Kansas the son of a Methodist preacher, and graduated from Sedgwick High School in 1948. His only contact with languages while growing up was with his grandparents, who spoke German. In 1951, he graduated from Southwestern College in Winfield, KS with a Bachelor of Music Education degree. During the Korean War, he served with the U.S. Army until his honorable discharge in 1953. He earned his M.S. in Music Education from the University of Northern Colorado in 1954, and taught vocal and instrumental music for many years before pursuing his dream of teaching German. He received a M.A. and Ph.D. in German language and literature from Michigan State University, and joined the faculty at Kansas State University in 1965, teaching German and world language education until he retired in 1995 after 30 years at Kansas State. 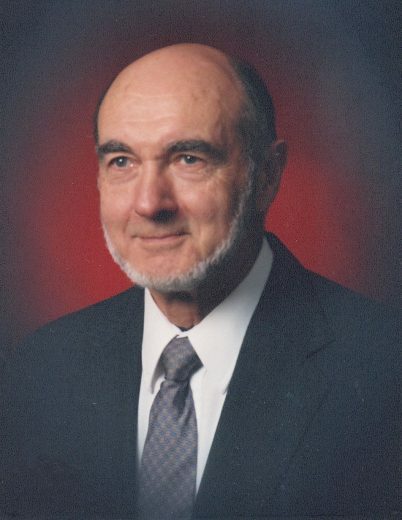 From 1971 until his retirement, Dr. Alexander’s work was split between the Modern Languages Department and the Department of Curriculum and Instruction in the College of Education. Research interests included the bilingual method of teaching foreign languages, and the use of German radio plays (Hörspiel) for language learning. He developed and coordinated a yearlong NEH funded institute in 1990-1991 for rural teachers of French, German, and Spanish from a five-state region, employing teleconferencing instruction as well as two-day on-site workshops. A life-long learner, after his retirement he continued to follow his interest in languages, love of music, service as docent on the Konza Prairie, and commitment to social justice issues. At a service of celebration of his life, held on February 25, 2017, his five grandchildren spoke movingly of these aspects of their grandfather, as well as his devotion to his family, and the ways he inspired and engaged them in his passions and interests. All of them mentioned his fun-loving nature. He and his wife, Donna, celebrated 65 years of marriage on June 22, 2016 and he is survived by her, their three daughters, five grandchildren, and one great-grandson. We invite you to share your memories of Dr. Alexander below. UPDATE: There are plans to honor Loren’s legacy and his advocacy for language teaching by creating a scholarship for students preparing to be language teachers in the public schools. To support this, please contact Derek Hillard (dhillard@ksu.edu). Alumni Update: We want to hear from you! I remember him in the early 80’s when I first came to K-State. I liked his classes and learned a lot. Thank You !!! Loren was a wonderful teacher and friend. He was very supportive of his students with encouragement and funny stories and by listening. He was so good to my father when he fell ill, taking him to and from German Club in Aggieville. It was always a pleasure to encounter him in town, at the Manhattan Arts Center and at Meadowlark. He was a special man and is truly missed.